Biovica develops technology to improve monitoring of cancer treatment and its effect. Now Biovica scales up in the newly built Testa Center in Uppsala. Image above: The biotech company Biovica is expanding its production at Testa Center in Uppsala. Photo: Biovica. The biotech company Biovica, develops and commercializes blood-based biomarker assays that improve the monitoring of modern cancer therapies and better predict patient outcome, takes the next step in their expansion plan. Biovica will scale up production in the newly built facilities at Testa Center in Uppsala to meet the future demand from customers. We are happy to be one of the innovative companies here at the Testa Center. Testa Center is a new, government-sponsored test-bed for verifying innovative digital, technical or biological tools used for the industrial manufacture of biologicals in an authentic production environment. To meet future demand, Biovica will scale up part of the production and processes using the newly built Testa Center in Uppsala. 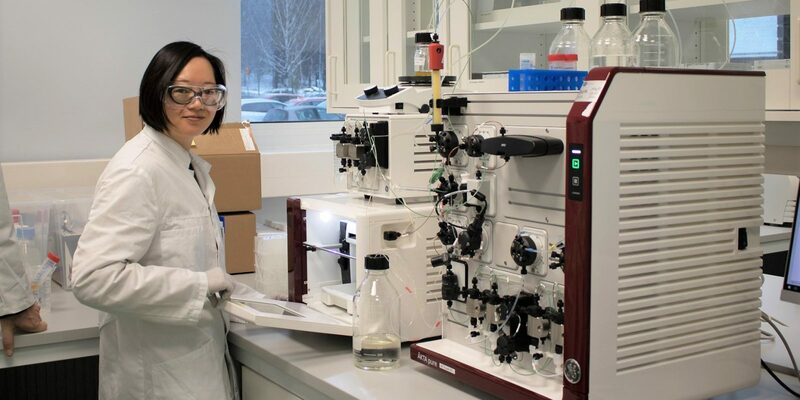 The new test and demonstration site, partially funded by GE Healthcare and by the Swedish government, offers high-quality bioprocess expertise and will serve as a hub for innovation in biomanufacturing. “We are happy to be one of the chosen innovative companies to develop our manufacturing process here at the Testa Center. This opportunity is a project for us where we can reduce risk and accelerate time to market. A stable manufacturing process is a key success factor to be able to scale up our production capacity and at the same time meet regulatory requirements,” says Adam Germunder Operations Director at Biovica. “This collaboration will be very valuable for us in this expansion phase to effectively scale-up our production process to meet expected demand. Access to knowledge and equipment through the Testa Center is a huge advantage and we’re happy that there are such opportunities in Sweden. Being able to scale up production and at the same time meeting regulatory requirement is essential in order for us to fulfill our vision: Best treatment from day one!” says Anders Rylander, CEO Biovica. Biovica’s project at the Testa Center is co-financed by SweLife (Vinnova). It is also supported by the Vinnväxt initiative Uppsala Bio.